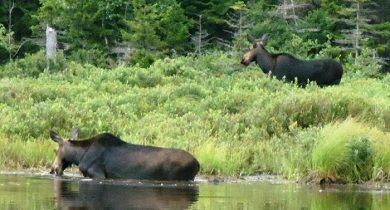 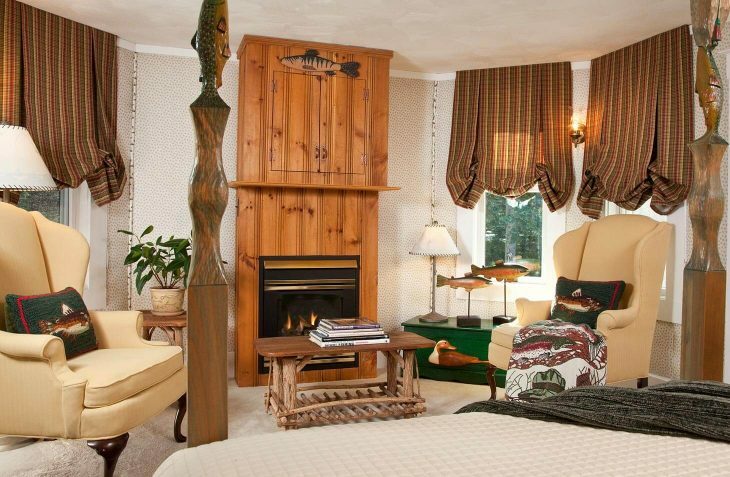 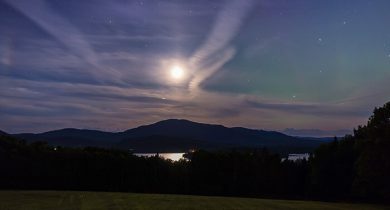 Moosehead Lake is known worldwide for its Trout fishing and this room reflects that. 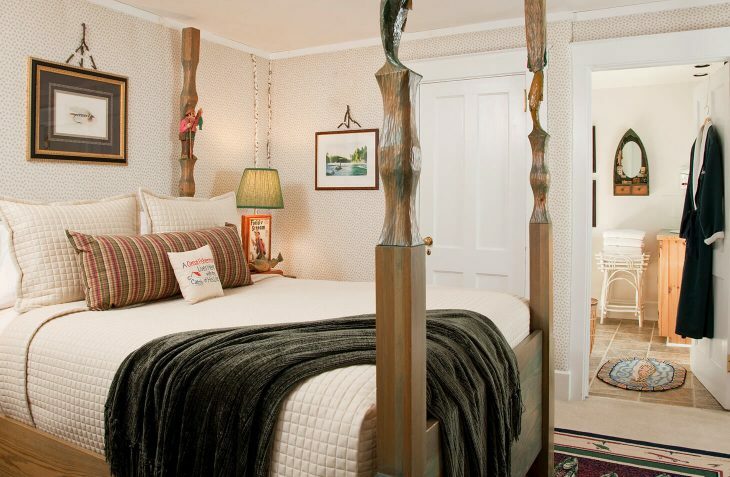 The second floor room, complete with a one of a kind hand-carved queen four poster bed and bathroom mirror is perfect for the ultimate Maine adventure. 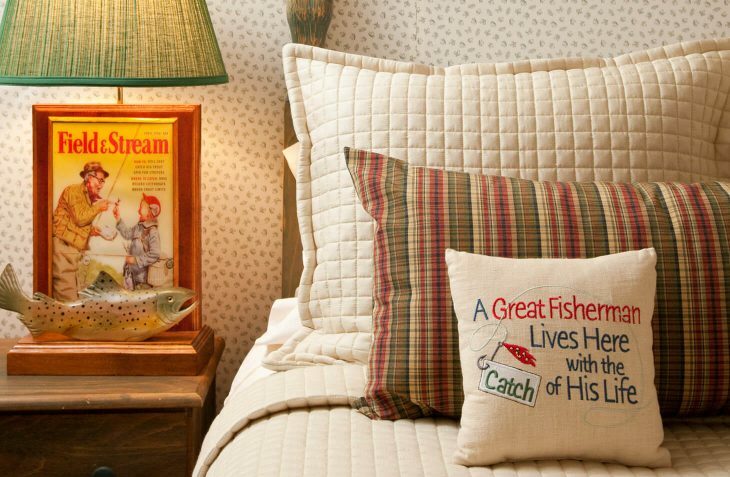 Upholstered walls in a fly fishing fabric add warmth and quiet. 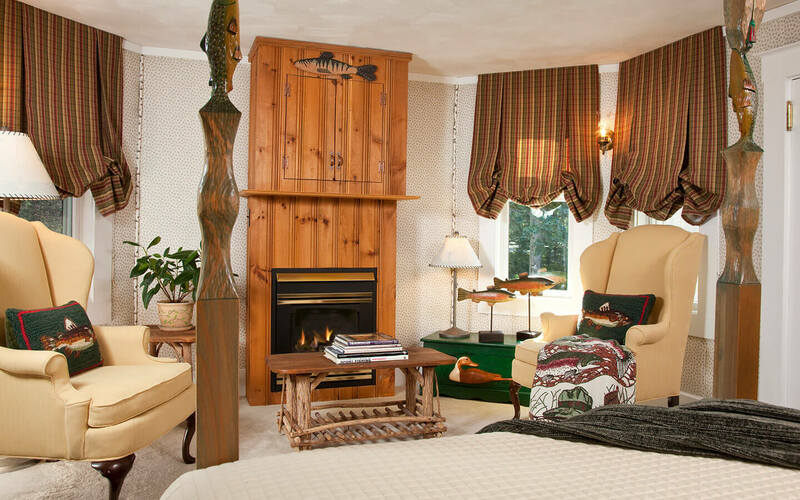 There’s a step up sitting area surrounded by four windows overlooking the woodland gardens of the Lodge.